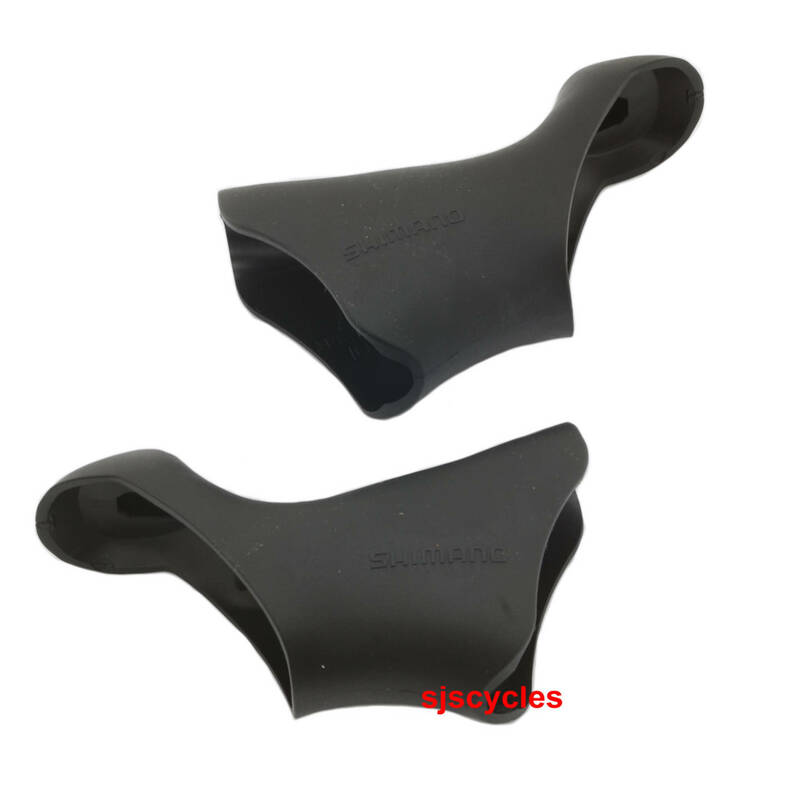 For use with Shimano Sora ST-3400 9spd STI Road levers. Excellent product delivery promptly. Great service from SJS once again. Will This Item Be In Stock Anytime Soon? Seems As If It Was Discontinued And Nobody Stocks Them Anymore.. Unfortunately these hoods have indeed been discontinued so we won't be getting any more I'm afraid. Are there any other covers that are compatible with either the 3400 shifters or the 2300? There aren't any compatible alternatives listed by Shimano I'm afraid. The model of levers you have is printed into the plastic on the side of the main body of the lever under the hoods. The 3300 levers were a very different shape to the 3400 levers so they used a different set of hoods. That said these 3400 hoods are discontinued now anyway so we wouldn't be able to supply a set even if they would work I'm afraid. Unfortunately these bracket covers for the Sora ST-3400 were only ever made in black. Will These Fit On Shimano St 33000 Sora Leavers? Unfortunately they won't fit on the older levers as they used a different design. Due to the age of your shifters the bracket covers are no longer available either I'm afraid.